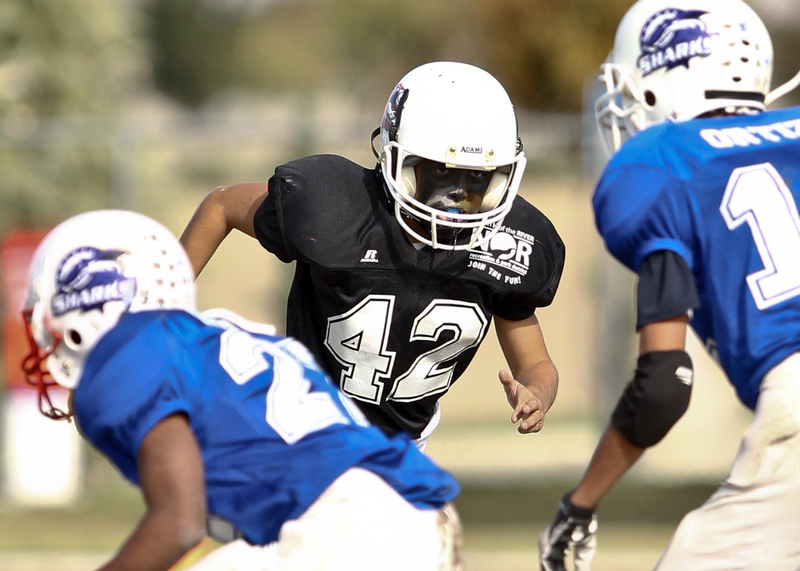 Recently I had the opportunity, if not obligation, to help coach my Son’s football team. The team started with five coaches and that number soon whittled down to one coach and a dad who had volunteered to help. I finally jumped in after watching these young men get humiliated in their first two scrimmages. In an effort to do my very best for my son, his remaining coaches and his teammates, I picked up a book titled Positive Coaching: Building Character and Self Esteem Through Sports, by Jim Thompson. The season’s outcome is a story for another time. Suffice it to say it was character building… as to self-esteem… the jury’s still out on that one. I wanted to share, however the introduction to the first chapter in Mr. Thompson’s text, it’s actually a quote from Scott Russel Sanders, Secrets of the Universe: Essays on Family, Community, Spirit and Place. I offer it here to all fathers who, like me, may be beginning to feel the press of age. Stay the course my brothers it’s worth the effort, not to mention early morning aches and pains! I mean to keep playing games with my sons, so long as flesh will permit, as my father played games with me well past his own physical prime. Now that sports have begun to give me lessons in mortality, I realize they have also been giving me, all the while, lessons in immortality. These games, these contests, these conversations of body to body, father to son are not substitutes for some other way of being alive. They are the sweet and sweaty thing of life itself. I hope you find this as inspiring as I do. Every time one of my three boys still at home want to wrestle, run or otherwise throw themselves against their father in their never-ending quest for manhood, I remember this great quote and bury myself in the fray… oh and of course theirs always ibuprofen! Have a great day, Happy New Year and GO PLAY! Awesome blog! Very well written, you have put into words what the heart feels when it comes to being an active, playful father. I salute you for discovering the joy of Fatherhood with your precious boys on their way to becoming men. You are a good example to those around you, wouldn’t it be nice if all fathers discovered the joys of playing with their sons before it was too late. Keep up this blog, you’re on to something. I would love to read it every day. Let me know if you ever need a photographer to spend the day with you and your sons while you play, I would love to tag along and fill your blog with pictures, free of charge! By the way you’re an exceptional husband too! I am one lucky woman. Thank you my love, for bringing them into the world! Oh trust me, I plan on using your photography skills as my primary contributor for all pics, video, etc!! That was awesome. It motivated me to do more. I spend lots of time with my children and see the positive benefits. My son joined me for 10 weeks of Mark Lauren’s “You Are Your Own Gym,” now he and my daughter make me teach them whatever I learn in boxing. I’m not as young as I used to be, not as old as many of their friends’ parents, and fortunate enough to have the time to spend. Looking forward to more from you and the blog, brother! « Peak Performance For Baby Boomers!